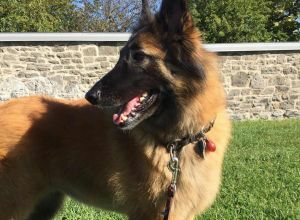 Horka | Belgian Tervuren in Montréal. Horka is the nicest dog ever! She's so soft, intelligent and friendly. She also loves humans and is very calm with other dogs. I also love that she lives right in front of Park Jeanne-Mance.